Ethervision has developed a very unique solution for Marker Based Augmented Reality on the iPhone and iPad. This is unquestionably the most advanced use of Augmented Reality and the marketing implications are vast and infinite. 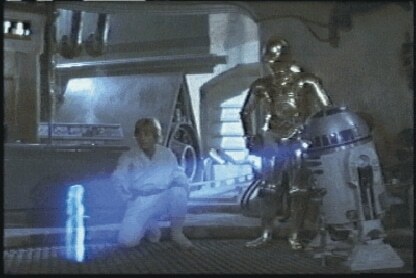 If you do not know what marker based augmented reality is, think Princess Leia being projected by R2D2 in Star Wars. The iPhone serves as your binoculars (using the camera) to show a 3D projection over the marker in your living room, kitchen table or wherever you may be (see our first look video demo below). Our Augmented Reality solution detects a “marker” in real time and can overlay just about anything you can imagine. From 3D, fully interactive images to videos, we can deliver it. What makes marker based augmented reality so promising for marketers is that customers can interact with their brand and literally walk all around the 3D projection, seeing all facets of what is in front of them. In addition, we can add controls so that the user can open your object, play with your object, make a game out of your object, etc. The possibilities are endless. 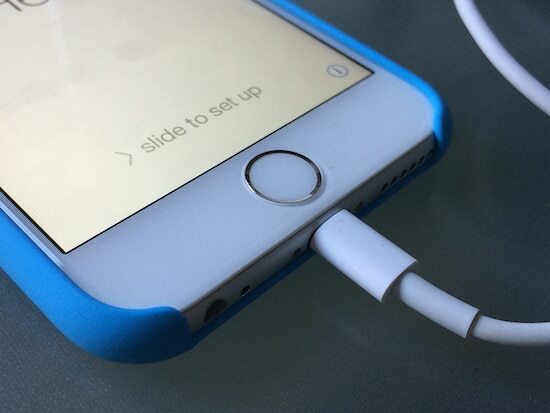 A simple example for a car company: A user points his iPhone 4 or iPad 2 at the marker. Up from the ground opens a trap door and out pops your car fully projected in 3D over the marker. The user can then tap a button to open the hood, tap another to get a tour inside and walk all around the marker to see the car from all different angles. The possibilities are endless. Ethervision is a Chicago based iOS development specialist. We’ve created more than 50 applications and have been featured by Apple 25 times. Reach out to us today to find out how your company can benefit and be an early mover in the dynamic augmented reality space. A more detailed video demo is coming very soon.